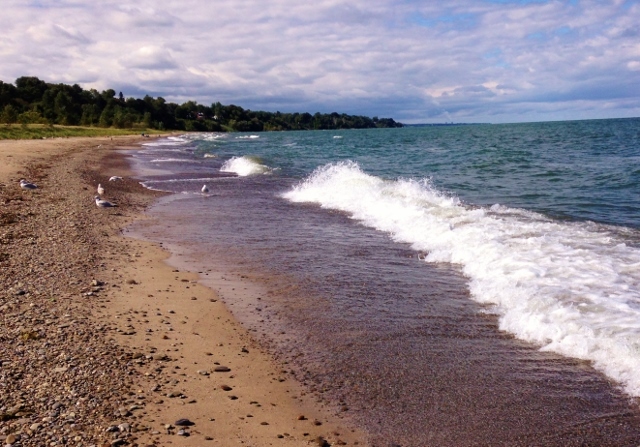 While traveling in the Great Lakes region of the U.S. late this Summer, our route took us through Erie, Pennsylvania. 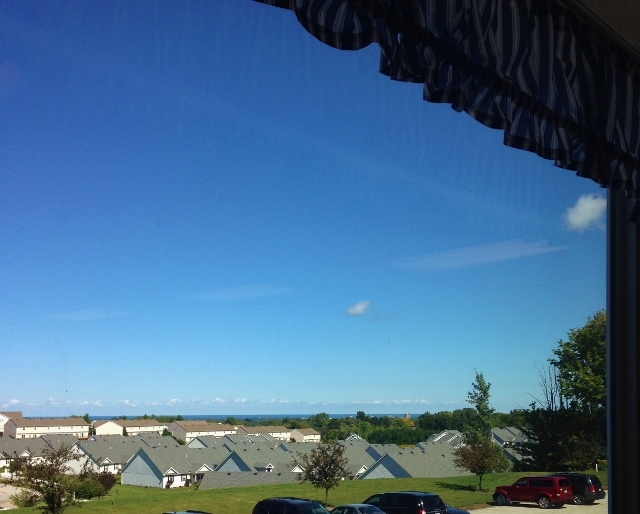 Maybe you think of scenic views of Lake Erie or visits to Presque Isle State Park or hikes to see lighthouses. Me, I think of pizza. 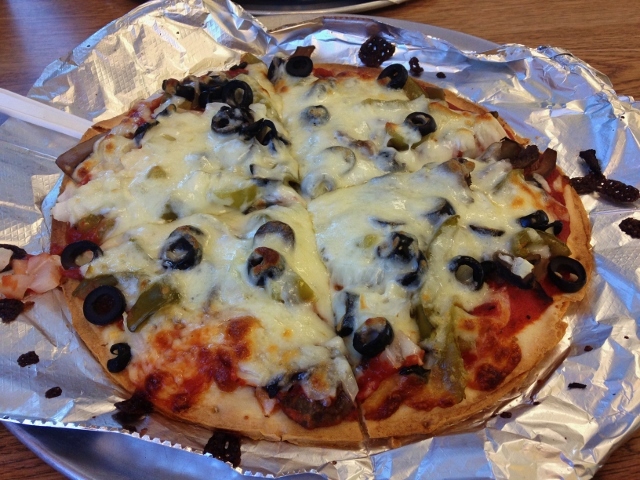 Really tasty, melty cheesy, piled high with veggies, gluten-free pizza from Maria’s Pizza. We ordered at the counter, asked lots of questions about gluten-free preparation and got lots of the right answers in return. They do it right here and take care to avoid cross contamination. 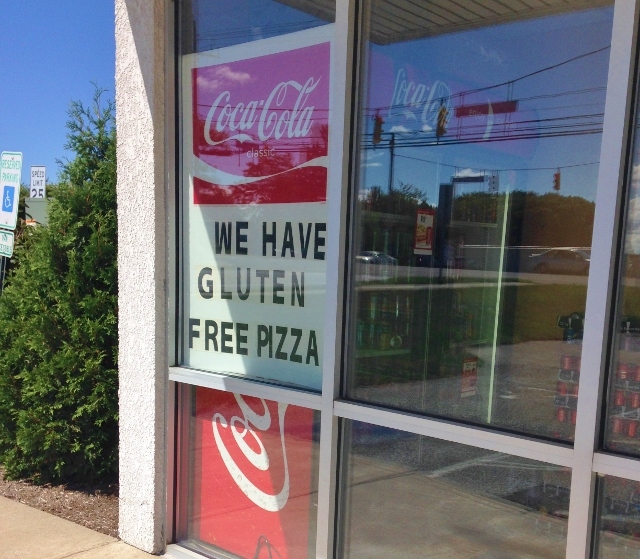 The lunch special (pizza, salad and a pop) didn’t specifically say it was available gluten-free. I asked and they said no problem. I also asked if I could have one of their specialty pizzas, the vegetarian, instead of the one topping. Again, not a problem. Super nice folks. My fella ordered the same thing as me, not a surprise as we share the same likes and dislikes in pizza. While this is listed on the menu as a “mini” pizza, I was not able to eat all of it for lunch. I took the rest along on our roadtrip, stashed it in our cooler, and ate it cold later in the day. Not all gluten-free crust holds up well. This one did. I was able to hold a slice in my hand hours later while riding in the car without it falling apart. Gluten-free pizza crust has come a long way and this one was a good example of that. I mentioned Maria’s being in a strip mall. It also happens to be perched atop a hill. Grab a table near the back in this seat-yourself, casual spot. The back is lined with windows. Gazing across the top of houses, you can see out to the lake. 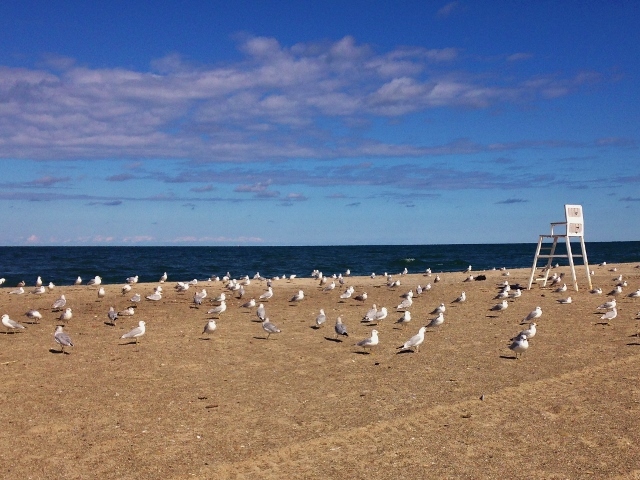 While visiting Maria’s, take some time to check out the beaches. We took a hike after lunch and had the beach almost entirely to ourselves. We saw one gentleman with his dog and a mom with small kids off in the distance. Peaceful! Eat With: Minimal caution. On our visit, the staff were very helpful and knowledgeable. As always, make sure they understand your dietary needs when ordering. 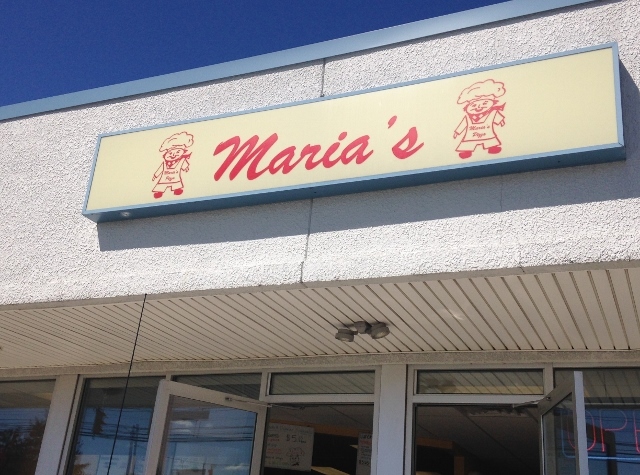 Maria’s Pizza is located 2340 West Grandview Blvd., Erie, PA 16509. 814.866.5499. It was VERY good. I don’t write about places that aren’t good. Only recommendations here since 2012. I would eat here again in a heartbeat.